Earth circles Sun while Moon circles earth. The come between each other during the circle. When Moon comes between Sun and Earth then it is known as solar eclipse. It directly impacts on earth and human. 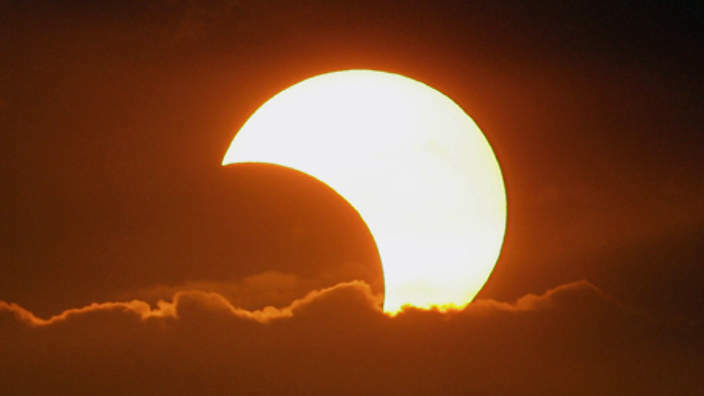 This time solar eclipse occurs on 9th March. It starts from 4:49 to 10:04. Its total time would be 30 minutes and one can see it in partial form. It happens in Aquarius sign. This eclipse makes combination with Ketu. There will be unity of Moon, Venus and Mercury. There are chances of accidents due to conjunction of Sun and Ketu. There might be awful disturbance occur in politics. There will be eye of Jupiter on Sun and Ketu. Therefore, one can get rid of problem by doing such measures. The rules of sutak apply where solar eclipse has been seen. Solar eclipse is astronomical event. It definitely affects on human’s mind. But it is not necessary that its impacts are negative. Space becomes wonderful during eclipse. Therefore, you should keep fast and do meditation on this day. It is extremely beneficial to chant hymn and mediation during eclipse. You can also do such remedy for Rahu-Ketu during eclipse. One should take bath with clean water or in a river after eclipse time. After that, donate food, clothes and money. It gives good results to you. It is extremely beneficial to do mediation and donate anything to poor. Remedy: One should pray before going on journey. The journey would be full of happiness and safe.